impression. Crosby Lane was received well by the audience. and the crowd completely “ate it up!” What an experience! the Year, “Hear My Heart.” Sheri performed the song beautifully and flawlessly and the crowd loved it! Throughout the night, final nominees and award winners were announced in 23 different categories. Creekside Gospel Music Convention 2013. Creekside Gospel Music Convention to a close. the Gospel! He reminded us; the simple message of the gospel still penetrates hearts and changes lives. the presence of God! There were several “God-bump” producing performances, for sure! their hearts and souls and performed with excellence! believe 2012 was just the beginning and God has great things in store! leading up to the convention and extended excellence the entire three days! each person that made a donation to this ministry, it was deeply appreciated! 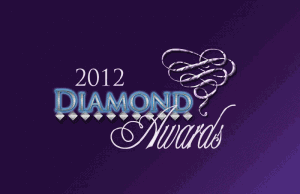 Celebration and the Diamond Awards! hours behind the scenes to make the 2012 Creekside Gospel Music Convention a success! return and we’re already working together to make next year’s event even better for all involved. next year too! Also, check out our photo gallery on the SGNScoops Facebook page!